Super light ski touring boots for the long days of ascent. 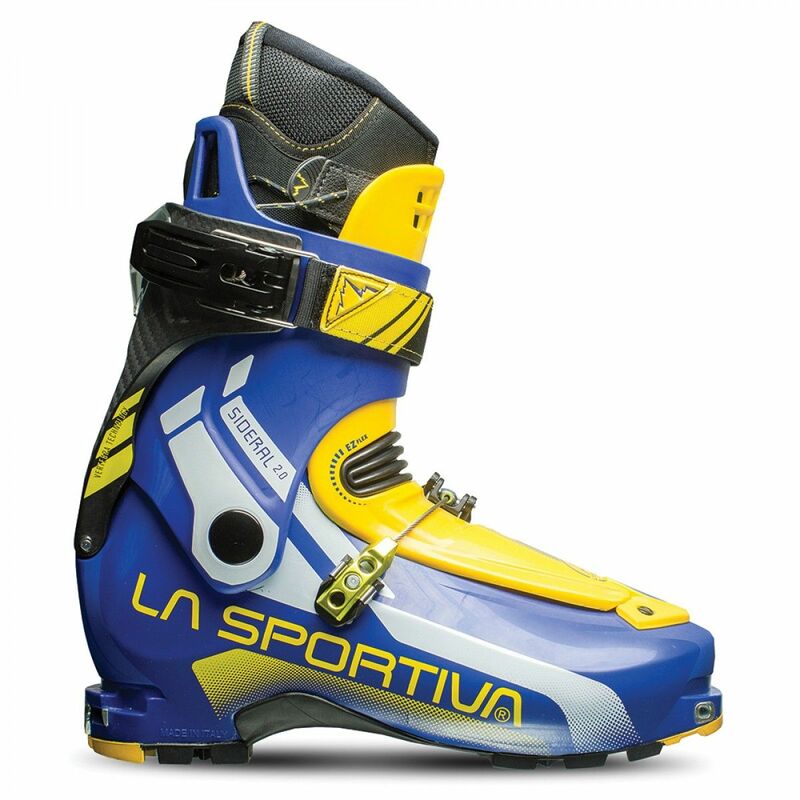 La Sportiva's Sideral 2.0 are the updated version of their popular entry price point 2 buckle ski touring boots the Sideral. Weighing in at 2.3Kgs for the pair and with a 68dgr range of motion the Sideral 2.0 are a dream on those long climbs. Combine this with good ski support, an improved warm EZ flex liner, and a very good price you get an excellent boot for people wanting light weight touring functionality with out breaking the bank. We strongly recommend that the La Sportiva Sideral 2.0 boots are fitted with a sport foot-bed and custom fitted by a skilled boot fitter. Please call 01943 816011 or email info@backcountryuk.com for an appointment. All ski boots fitted by us carry a boot fit guarantee.